Sometimes, though, doing so is easier said than done. For many mothers in this situation, logistical issues surrounding visiting hours and transportation, detention-center policies and rules, and the financial burden of the incarceration situation (in which everything from your child’s snacks to phone calls can be unexpectedly expensive) mean that moms need to be exceptionally resourceful and strategic to maintain their connection. And for Solo Moms, who may lack emotional support, it can be particularly difficult. Still, where there’s a will, there’s a way, and no one is as qualified as mothers to find or create ways to stay an active, involved part of their child’s life, even when their child is doing time. 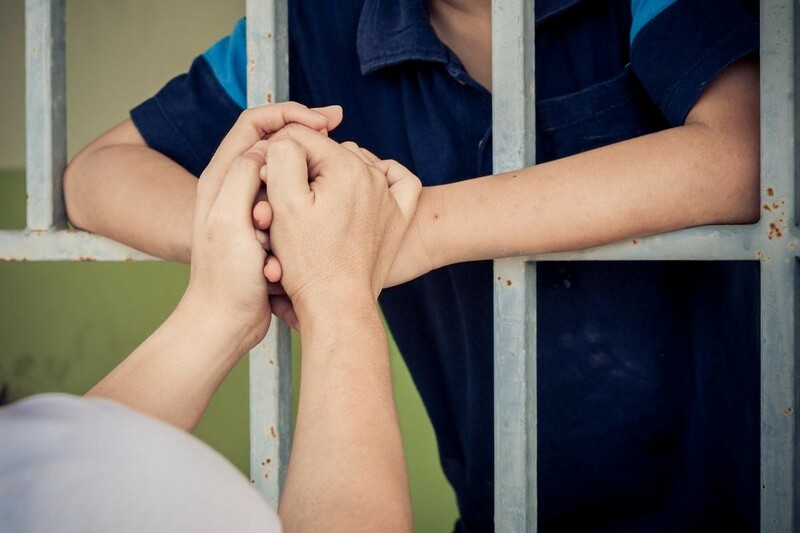 So, based on my many conversations with parents of incarcerated children, as well as research on the subject, here are some suggestions for how Solo Moms can keep their incarcerated child close. Write letters. In this arena, frequent is better than lengthy. Receiving mail is often the highlight of an incarcerated person’s day, and hearing regularly from Mom will remind the child that you are still there for him and that he is still loved. Talk about finances. Share information about financial matters that have an impact on things such as visitation and your child’s detention-center account. Some people would defer this and say that keeping quiet about financial burdens and budgeting issues will keep your child from worrying about things she can’t control. It has been my experience, however, that incarcerated individuals often read into things such as family members’ infrequent, short calls or once-in-a-while visits. It is less painful to know that a parent needs to keep these contacts within budget than it is to think that a parent is not interested in connecting. Familiarize yourself. Become as familiar as possible with the specific detention-center’s policies, rules, and programs, etc. Doing so will help you continue to be your child’s best advocate and will also demonstrate to your child that you remain interested in his day-to-day life. Detention centers are required to have a written description of policies and rules available to both inmates and their families. Ask for a copy as early on as possible. Be a connection. When I talk with incarcerated people, one of the things they report feeling bad about is the degree to which they are cut off from the outside world. For instance, their inability to go to cousin Monica’s funeral or their best friend’s graduation ceremony makes them feel out of the loop and adrift. Missing family updates during holiday get-togethers and other family gatherings is similarly disappointing. But this is not the only form of disconnection to the outside world. They may have limited access to particular kinds of news or be excluded, by virtue of incarceration, from communities and organizations that are important to them. Keeping your child aware of things such as happenings in her church or sharing information about what a particular club is doing lately can go a long way in helping your child know she is still part of things. It may also be important to be your child’s researcher. For example, if your child needs information about online GED courses, you might look into these and share resources and information. Be the bearer of hope. It is not unusual for incarcerated youth to feel as if their lives are over and their futures have been forfeited. You can be the bearer of hope in several ways: encourage your child to hold on to his goals and dreams despite his current circumstances, remind him of his talents and interests, and discuss his thoughts about life after incarceration. Take care of yourself. This might seem obvious, but it can make more of a difference to your child than you realize. It is common for people who are incarcerated to worry more about their loved ones because they are not there to pitch in and keep an eye on things. Self-care is important not only to you but also in the sense that it will reassure your child and foster positive interactions between the two of you. Though facing a child’s incarceration is difficult for most mothers, and perhaps for Solo Moms in particular, there are reasons to be hopeful. Research shows that positive and sustained family involvement helps incarcerated people with community reentry and reduces their rate of reincarceration. Join our confidential community of Sisters to connect with Solo Moms who’ve traveled a similar path.